The bonanza of multimillion-dollar classic cars, caviar, and Gambler hats known as Monterey Car Week (a.k.a. Pebble Beach) is fast approaching, and with it comes a treasure trove of truly mind-boggling auction listings for us common folk to drool over. Last week we highlighted the 2006 Lamborghini Concept S, the only open-cockpit modern Lamborghini in existence, and today we bring news of an even angrier bull set to cross the block—this stunning 2000 Lamborghini Diablo GTR. Company founder Ferruccio Lamborghini famously preferred luxurious grand tourers (once declaring the obscure Lamborghini Jamara his greatest creation) over the raw, street-legal race cars put out by domestic rival Ferrari. By the time he died in 1993, Lamborghini had yet to produce any factory racing specials, and it seems his passing opened the floodgates for some eager company engineers. First came the 1996 Lamborghini Diablo SV-R, a tuned version of Diablo SV built specifically for the one-make Lamborghini Supertrophy racing series, a forerunner to today's Huracan-based Lamborghini Super Trofeo series. The 1999 launch of the stripped-down, illegal-in-the-U.S. Lamborghini Diablo GT gave the automaker an opportunity to create the sequel featured here, and boy did it deliver. 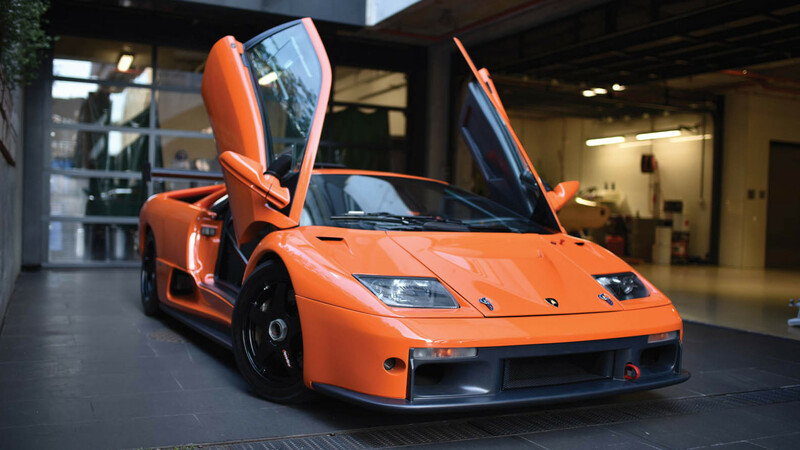 You might think that not much would need to be done to the Diablo GT to turn it into a track-slaying machine, but the Lamborghini Diablo GTR is a true race car. 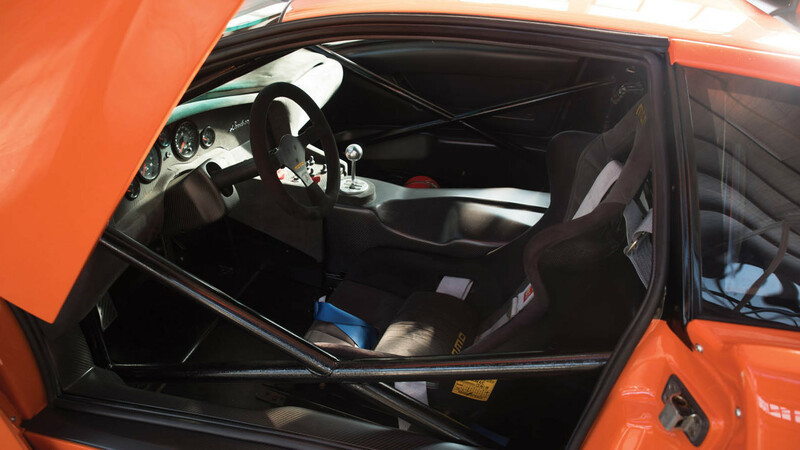 The GTR features a fully-integrated roll cage, Plexiglas windows, carbon fiber body, and a revised 6.0-liter, 590-horsepower V-12 engine mated to a five-speed open-gate shifter. It was the most powerful Lamborghini ever built at that point, the true high-water mark for the indomitable Diablo name. This is an old-school racer that will put hair on your chest, regardless of gender. Power alone won't get you across the finish line, though, and a huge rear wing bolted directly to the frame helped make this one of the best handling Lambos ever built as well. This orange example, number 19 of 30, competed in the Supertrophy series for several years before retiring in 2002. In 2012, it was the subject of a "ground-up restoration" that saw "every single part and component" either replaced or restored to like-new condition. But all that TLC certainly doesn't come cheap—the car retailed for $300,000 when it launched, and RM Sotheby's expects this Diablo GTR to go for as much as $750,000 in Monterey on August 19, making it the most expensive car with headlights from a Nissan 300ZX Z32 you'll ever buy. Powered by a 5.0-liter V-10 engine, it's a true street-legal raging bull. Matt Farah Answers the Question: Pebble Beach Concours or Woodward Dream Cruise? To find out, he went to both in the same weekend. Just a tap of the throttle is all it takes to get the V-12 bull sideways...and then some. Making Italian super car interiors better since 1972.